Due to unforeseen circumstances today’s updated mock draft will be postponed until tomorrow. In the meantime I’ve added game tape (courtesy of JMPasq) of Courtney Upshaw vs Mississippi State. Let’s also open up the comments section for your thoughts post-combine, plus any questions you have… fire away. This is an open thread to discuss the final day of the combine where the defensive backs will perform. The Seahawks are unlikely to be too active with this group considering the talent they have at both safety and corner, but they may look for further depth in the later rounds. I’ll review the numbers when they’re in and provide a breakdown. Just how well Morris Claiborne works out could be crucial for the Seahawks. Cleveland (if they don’t win the RGIII trade-stakes) and Tampa Bay may see him as an alternative to Trent Richardson – who would be an option for Seattle if he drops out of the top ten. Jacksonville could select Claiborne instead of a top-tier edge rusher – Seattle’s preferred pick at #12. I’m also interested to see how Dre Kirkpatrick performs – a player I’m not overly enamoured with who struggles in coverage and offers more value in run support. 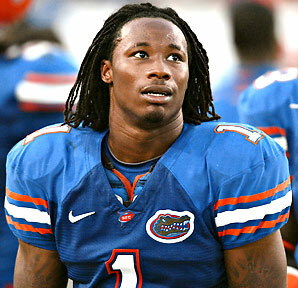 Janoris Jenkins’ off-field problems have dominated his projection, he’ll have to explode in drills to rescue his stock. Janoris Jenkins ran a 1.47 10-yard split and showed well overall. Jayron Hosley and Stephon Gilmore also took advantage of the opportunity to impress. Hosley in particular is a bit of a risk taker, but has the speed and playmaking qualities to be a star at the next level. 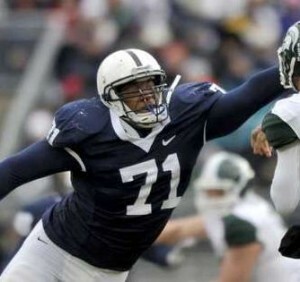 Tony Pauline says talk at the combine suggests Tampa Bay will draft Morris Claiborne with the #5 pick. A few people have asked about Boston College linebacker Luke Kuechly after he ran an impressive forty yard dash yesterday and flashed enough athleticism to warrant serious talk as a top-20 pick. He ranked 3rd among linebackers in the 20-yard shuttle and vertical, 4th in the 3-cone drill and 5th in the broad jump – all after running a 4.58. John Clayton mentioned on ESPN 710 yesterday that there’s a chance David Hawthorne could leave Seattle in free agency, creating a potential hole at middle linebacker. Following Leroy Hill’s latest arrest for drug possession yesterday, the Seahawks are faced with losing two starters in one area of the roster. Only second-year KJ Wright is slated to return at this stage, a situation that could make linebacker a priority during the off-season (if it wasn’t already). The defense already has enough issues with it’s impotent pass rush without another position gatecrashing the party. Kuechly will likely be your classic safe, impact draft pick. Many people expected Aaron Curry to fit that mantra, but Kueckly’s skill set is completely different. A fine athletic showing in Indianapolis this week was seen as a bonus alongside raw tackling ability, a nose for the ball, field IQ and leadership. Unlike Curry, Kuechly isn’t going to make mental mistakes by the dozen ad collect penalties like baseball cards. He’s the type of player you plug in for week one and let him get to work. Size concerns are in the past after he turned up to the combine above the 240lbs mark and he held the extra weight well during work-outs. However, I still think he’s an unlikely pick for the Seahawks. Middle linebacker is not a position that has traditionally required top-level draft investment – Seattle has seen that with the way they’ve been able to plug in David Hawthorne (a former UDFA). This front office has also shown a good eye for the position – finding KJ Wright in the middle rounds and finding a 7th round diamond in Malcolm Smith. There will undoubtedly be opportunities to fill holes with a modest outlay – either a mid-round pick or calculated free-agency pick-up at linebacker. Kuechly isn’t going to offer any pass-rushing quality, therefore he won’t be improving Seattle’s target area this year. His presence won’t significantly improve the team from their 2011 performance and although he’s clearly a fine football player – I suspect the Seahawks want more of an impact. Mike Mayock runs through who impressed during yesterday’s drills. Like most other people – Mayock really liked the way Dontari Poe performed and highlighted the elite mobility he flashed during his work-out. Michael Lombardi complimented Melvin Ingram and his versatility. He did play down the fact Ingram had the shortest arms among defensive lineman and although a 4.78 forty was fine, it wasn’t the kind of explosive number that could’ve cemented his place in the top-15. Lombardi also provides a top-ten mock with the Redskins trading up to get Robert Griffin III. Two of the top-tier pass rushers are off the board – Ingram at #8 and Quinton Coples at #10. With Kansas City unlikely to draft him, this would be a very good situation for the Seahawks with ideal-pick Courtney Upshaw still on the board. Today we could be watching Seattle’s next first round pick. Pete Carroll has been pretty open about his intentions this year, stating at the end of the season his desire to improve the team’s front seven. This week he reiterated those desires: “We need to address the issue about our pass rush, and it’s a big factor for us. We would love to see if we can make some movement there.” There is no doubt at all what area the Seahawks are focusing on in round one – pass rush. Defensive lineman (9am EST) and linebackers (1pm EST) work out today – Seahawks fans should take notice. I’ll be blogging live on Group 7 (keep refreshing for updates), recording forty-yard dash time’s and the all-important splits. We’ll be passing comment on how the likes of Courtney Upshaw, Quinton Coples and Melvin Ingram perform and get the numbers for groups 8 & 9. It’s also important to concentrate on the second tier in the event a situation such as Brian Billick’s mock draft occurs. Vinny Curry, Nick Perry, Chandler Jones, Cam Johnson, Andre Branch and Whitney Mercilus are all worth monitoring. I’ll be watching linebackers Zach Brown and Sean Spence with great interest too. Bobby Wagner of Utah State will not work out as he’s suffering with pneumonia, per Tony Pauline. One man who will be working out is LSU’s Michael Brockers – he measured at 6-5 and 322lbs this week. Opinion is really mixed on Brockers – Mike Mayock describes him as ‘special’ and a top-10 pick, while others have been more sceptical. He declared as a redshirt sophomore without a lot of pass-rush production and people wonder what his best position could be. At 322lbs, he might end up being a nose tackle. 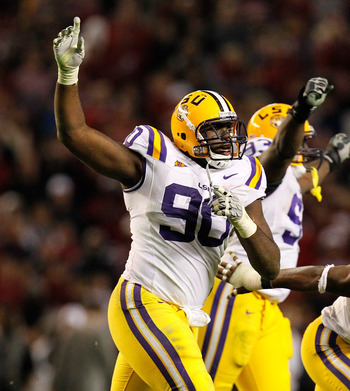 My initial impression of Brockers was positive, playing on a dominating LSU defensive front. However, the more I’ve studied since he declared the more lukewarm I’ve become. He has great size and he carries it well, but he just doesn’t look like a three-technique to me. He gets very little inside penetration and doesn’t look much different to what Seattle already has with Red Bryant, Brandon Mebane and Alan Branch. While he could have value to a team like Carolina who want to mix between 4-3 and 3-4 looks, I’m not sure why the Seahawks would make that pick. Update – Brockers ran a 5.37 and a 5.33 and looked heavy. More and more he looks like a nose tackle or one technique. Bruce Irvin ran the fastest forty yard dash with a 4.43, not totally surprising given his college production and smaller size (245lbs). He also the best 10-yard split at 1.54. This was important for Irvin after not receiving an invite for the Senior Bowl and being a smaller pass rusher. He needs to show he has the speed to make up for a lack of size and teams will show a lot of interest in him as a specialist rusher at the next level. Andre Branch has been as high as #13 in my mock drafts and could move back up the board after flashing a 1.56 split and two forty’s in the 4.6 range. Quinton Coples and Fletcher Cox both impressed given their near-300lbs size. Many people anticipated Cox moving up the board after the combine and a 10-yard split of 1.63 at 298lbs could put him into top-ten contention. Jaye Howard at Florida also impressed. Melvin Ingram ran two contrasting times of 4.66 and 4.78, recording a 1.65 split in his slower attempt. I couldn’t live blog the second two groups as planned due to an impromptu TV appearance (seriously – and I have a face for blogging), but have since gone back and watched the workouts. Don’t forget, to see a full breakdown of every prospect’s measurement and work-out results, you can check out this database. Courtney Upshaw didn’t run the forty yard dash, although that is understandable. He was never likely to compete with Melvin Ingram in terms of straight line speed and only stood to negate his stock by running a slower forty time. There were several headline makers in groups 8 & 9. Dontari Poe ran an official 4.81 forty despite weighing 345lbs – one of the more sensational combine performances in recent memory. To compare, Alameda Ta’amu ran a 5.34 despite weighing just 3lbs more. Elite nose tackle prospects are like gold dust and this will almost certainly push Poe into top-15 contention, if not top ten. It’ll be of huge benefit to the Seahawks if Poe begins to interest teams such as Miami, Carolina and Kansas City. Poe and Mississippi State’s Fletcher Cox did more than most prospects to boost their profile this week. Devon Still ran a 5.03 and didn’t look quite as explosive – his stock could drift back into the late first round or even early second. Plenty of fans are asking about the possibility of Seattle drafting one of these impressive interior defensive lineman – but I think it’s very unlikely. The Seahawks are zoned in on edge rushers this year and should be able to get one of the ‘big three’ at their position. 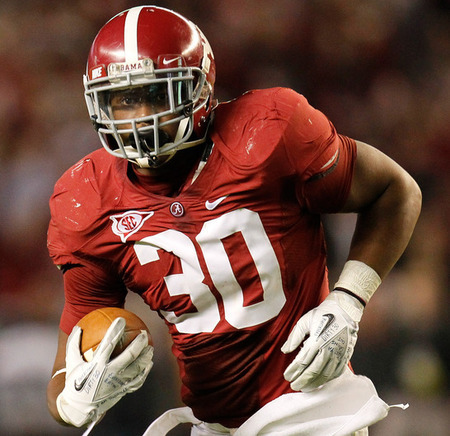 A strong second tier will make life easier if they take another player – such as Trent Richardson – in round one. Whitney Mercilus needed to prove athletic ability matched production and he achieved that with a blistering 1.56 10-yard split and an official 4.63 forty. USC’s Nick Perry continued his momentum drive by running an excellent 4.50 with a 1.57 split. Perry, Mercilus and Andre Branch should see their stock improve to solid first round grades as the defensive end class grows and becomes one of the stronger areas of this draft. Two linebackers boosted their stock in a big way by running well. Tremendous run-stopper and physical force Dont’a Hightower showed he can also moved with a 4.62 forty that could push him into mid-first round contention. Luke Kuechly managed a 4.58 which will have a big-time impact on his stock. A tackling machine at Boston College, there were some questions as to whether he was an overachiever without elite tools. Now he’s shown he has size (242lbs), speed and leadership – he could be a target for teams like Kansas City, Philadelphia and Dallas. Zach Brown managed a 4.50 forty, with Lavonte David recording a 4.65. For highlights of today’s work outs click here. Matt Smith and Bucky Brooks conduct an interview with Brock Osweiler that almost had a ‘rehearsed’ feel to it. I’m a fan of Osweiler’s, but this video reminded me of my last job interview. Admittedly – this is a job interview for the former ASU quarterback. However, I get the sense that sometimes prospects can try a little too hard to impress. Smith and Brooks also spoke with Kirk Cousins in an interview which was almost the polar opposite. Cousins is a natural public speaker who exudes confidence in his interviews. Alongside a very solid work out in Indianapolis, it wouldn’t surprise me if he impressed just as much in the meeting rooms. Cousins could easily go as high as round two in April. Quarterbacks, wide receivers and running backs all performed today at the combine. For a full list of measurements, times and reps – I’d seriously recommend this database. Any information you need from this year’s combine is included and it’ll be updated as the process goes along. Andrew Luck (4.67) and Robert Griffin III (4.41) both ran well as expected. Russell Wilson’s 4.55 was eye catching if not a total surprise given his size, while Austin Davis and Chandler Harnish both ran a 4.76. Although straight line speed isn’t a large part of a quarteback’s game, athleticism and mobility increasingly is. Last year we saw four quarterbacks with plus-mobility drafted in the top-12 – I suspect we’ll see at least three taken in the same range this year. Luck, Griffin III and Brock Osweiler didn’t throw the ball (Osweiler didn’t work out at all due to a slight injury). Ryan Tannehill is absent due to a broken foot. 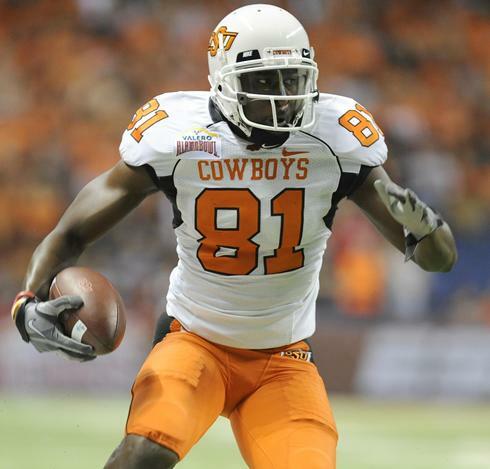 Stephen Hill made the headlines among receivers, running a superb 4.36 and flashing during drills. We highlighted the Georgia Tech wideout earlier in the season after a fine overall performance against North Carolina. Although he was held back slightly playing in the triple-option, Hill has shown the ability to make spectacular catches, get downfield and play with a competitive streak. Don’t be surprised if he makes a big move up the boards, even in a deep year for receivers. Michael Floyd also impressed with a 4.47 at 6-2, 220lbs. Juron Criner and Mohamed Sanu both ran slightly disappointing 4.67’s but keep an eye on Keshawn Martin – he made a 4.45 and is one of the more underrated players in this class. Kendall Wright’s 4.61 was surprisingly slow while Justin Blackmon only took part in certain drills and didn’t run the forty. During the day’s broadcast former Baltimore coach Brian Billick made an interesting top-ten mock draft which you can view by clicking here. The top three edge-rushers – Quinton Coples, Courtney Upshaw and Melvin Ingram – go #7, #8 and #10 respectively. Trent Richardson drops out of the top ten, but could conceivably be drafted by Kansas City at #11 unless they take an offensive lineman such as David DeCastro. This is probably Seattle’s most feared scenario. If the top pass rushers leave the board early, they’d almost certainly be putting their hopes in Richardson being available. I don’t expect the Alabama running back to fall too far because he’s simply too good, yet Billick’s top-ten also makes a ton of sense. For people wondering what would happen in a situation where Richardson did go #11 to Kansas City, this is the situation where players such as Zach Brown potentially come into play. We’ll discuss this further over the next few days because Billick’s proposal would cause a few sad faces in Seattle’s front office especially if Richardson ended up a Chief. Clare Farnsworth relays Pete Carroll’s off-season message – improving the pass rush is the key. Carroll: “We need to address the issue about our pass rush, and it’s a big factor for us. We would love to see if we can make some movement there.” This is the reason why for several weeks now our mocks have had the Seahawks taking an edge rusher. It’s also why we must pay most attention to tomorrow’s work-outs for defensive lineman and linebackers. NFL.com has the highlights from today’s receiver and quarterback workouts. Tomorrow I’ll be blogging live on the defensive line and linebackers work-outs. Join us from 9am EST for the defensive lineman and 1pm EST for the linebackers. If enough people are interested I’d consider hosting a ‘Cover it Live’ chat. Work-outs are underway at the combine, with the offensive lineman and tight ends running through drills today. Defensive lineman and linebackers also arrived in Indianapolis ahead of their work-outs on Monday – Seahawks fans should make a point of tuning in for those drills. Tomorrow is also a key date with the running backs, receivers and quarterbacks performing. Seattle is likely to be watching the running backs closely, so keep an eye on the likes of Doug Martin, Lamar Miller and David Wilson. I’m a big fan of Boise State’s Martin in particular and believe he could work his way into the back end of round one – he’d be a steal in round two. For the receivers, watch Stephen Hill at Georgia Tech – a player we’ve highlighted on this blog during the season who’s created a bit of buzz in Indianapolis. NFL.com has all of the official work-out results for the offensive lineman and tight ends. Georgia’s Cordy Glenn had an impressive showing today and will interest team’s at both tackle and guard. Missouri tight end Michael Egnew – a player we’ve mocked in round one at times during the 2011 season – also flashed major athletic potential. Be sure to check out the video highlights from today’s work-outs by clicking here. Marc Sessier reports that Michael Brockers weighed in at 322lbs at the combine, with a listed height of 6-5. He won’t run the forty yard dash or bench press, however, so has the extra weight had a negative impact on his mobility or strength? It’s hard to tell, but that’s nose tackle territory. A lot of people ask about Brockers on this blog, but the one thing Seattle doesn’t need on it’s defensive line is more size. 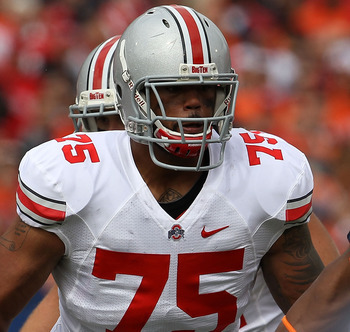 Silva passes on comments from Mike Mayock regarding Ohio State offensive lineman Mike Adams – who only managed 19 reps of the bench press. Mayock: “That’s not acceptable for that position, not even close. (You) see a lot of defensive backs put up that many.” It’s worth noting that Nate Solder only managed 21 reps twelve months ago and had a fine rookie season with New England, although I was never enamoured with Adams’ tape. 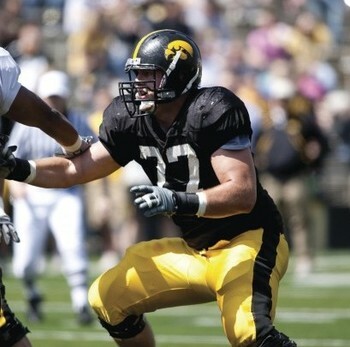 Silva also points out that Iowa tackle Riley Reiff has short arms. Silva: “Reiff measured in with only 33 1/4-inch arms. Short arms for potential left tackle prospect.” This could be good news for Seattle if he’s available and interesting Miami at #8 overall. The Dolphins are potential competition for the Seahawks in terms of the draft’s top pass rushers. Charlie Bernstein reports that Osweiler met with the Seahawks last night, along with the Chiefs, Redskins and Bills. Although a lot of people like Ryan Tannehill (I’m not a fan), I have Osweiler ranked firmly as the third best quarterback in this draft class. If you get him in any round outside of the first, that’s a steal. The Seahawks lost the coin toss with Kansas City today, meaning they will pick 12th overall in the 2012 draft. Miami were victorious in the other coin toss, meaning they will pick 8th and Carolina 9th. This was of only minor significance – the Seahawks and Chiefs are not directly competing for the same players, at least that’s the impression I have. Kansas City needs to bolster their offensive line and could take a serious look at Stanford’s David DeCastro or Jonathan Martin. Seattle is zoned into the pass rushers and it’s one area the Chiefs have some real quality with Tamba Hali. Miami and Buffalo will have the biggest impact on Seattle’s decision at #12. The Dolphins willconsider offensive lineman and could end up being a bit of a wildcard, but are also in the market to improve their pass rush. Buffalo’s greatest need is to find a pure edge rusher for their new 4-3 defense, although a premium left tackle would also be a smart addition. Don’t expect the Seahawksto jump up to the #6 or #7 spot to usurp both teams, so their fate really is in the lap of the gods. Unless we see a big riser in the next two months, Seattle will be picking out of the pass-rushing scraps left by Miami and Buffalo, with the usual suspects involved (Upshaw, Ingram, Coples…). Kansas City does put an obstacle in the way for any fan hoping Trent Richardson could fall to the Seahawks, but it was never likely that a player of such quality would drop out of the top ten. If the Seahawks are willing to draft Richardson at #12 with Marshawn Lynch re-signed or tagged, rest assured that Tampa Bay, Jacksonville, Miami and Buffalo would be going through a similar thought process. I’ll be very surprised if he’s drafted below the same range as Adrian Peterson (#7 overall pre-rookie pay scale). Really, there’s no major secret to Seattle’s thought process. They’ve been pretty candid about their desire to improve the pass rush and more and more people are buying into the fact this team isn’t going to find a quarterback solution in round one. Although the Seahawks won’t be big spenders in free agency, they could make some calculated moves to set up the draft board in April. Yet there’s a clear focus as to what area they’d most like to solve in the draft with a high-impact draft pick. Monday’s combine work-outs are the ones to watch for Seahawks fans. The defensive lineman and linebackers will perform with at least one future ‘Hawk on show. Greg Bedard says he’d be surprised if the Seahawks show any interest in Matt Flynn. Seattle has little or no interest there, despite reports to the contrary. Bedard covered the Packers when Schneider worked closely with Ted Thompson, so this is another strong voice to those making it clear Flynn won’t be the answer. I’d guess his likely destination is Miami or Oakland. Gil Brandt has an updated ‘hot-100’ list for the combine. Brandt ranks Ryan Tannehill at #7 overall, which goes to show a top-10 projection isn’t beyond the realms of possibility. Personally, I wouldn’t draft him even at the top of round two – but like Jake Locker in 2011 – Tannehill will divide opinion and could go earlier than people think. Rob Rang has the bench press totals for the offensive lineman and tight ends. David DeCastro had the most among lineman (34) but Georgia’s tight end Orson Charles tops the list (35). Rang also reports that Brock Osweiler will not throw at the combine. He joins Andrew Luck, Robert Griffin III and Ryan Tannehill in deciding not to throw. For me, Osweiler is the clear #3 quarterback in this class and I don’t see the benefit of him throwing in Indianapolis. His quirky mechanics and unorthodox style will always look better on tape than throwing to thin air in shorts. Walter Cherepinsky lists the quarterback measurements. There are no issues with Robert Griffin III’s height as he measured well above 6-2. Ryan Tannehill’s nine-inch hands are a slight concern given his size – no quarterback had smaller hands. Despite giving up two inches in height, Austin Davis was only 2lbs lighter and had much bigger hands at 10 3/8 inches. Only Nick Foles had bigger hands than Davis. Kellen Moore measured 6-0, 197lbs with 9.5 inch hands. The combine is underway with offensive lineman and kickers/punters on board for weigh-ins and interviews. The Seahawks GM John Schneider also spoke to the media in Indianapolis today. WalterFootball has all the measurements for the offensive lineman at the combine. Kelechi Osemele – an underrated guard and tackle prospect from Iowa State – showed impressive size (6-6, 333lbs) and the longest arms of the group (35 7/8 inches). There’s quite a lot of interior line depth and although there’s not a cluster of talented center’s, Peter Konz is only slightly behind Alex Mack for the best positional prospect since Nick Mangold. Ross Jones was present for John Schneider’s press conference. According to Jones, the first quarterback mentioned by Seattle’s GM was Brock Osweiler. 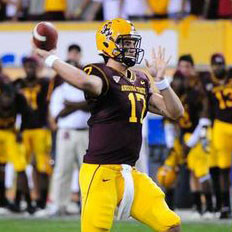 Osweiler turning pro came as a shock and many teams may still be going through the tape to get an angle on the ASU quarterback. He’s a unique player and could be set for a major rise up the boards. For me, he’s clearly the third best quarterback in this class. Clare Farnsworth reports confirmation from Schneider that Marshawn Lynch will remain a Seahawk. An affordable franchise tag of around $7.7m makes keeping Lynch a certainty. ‘Beast Mode’ would rather not be franchised – many candidates for the tag have the same stance – but it seems the most likely scenario right now. Although the Seahawks would like to get a long term deal completed, the fragile nature of the position dictates how much they’d be willing to commit. 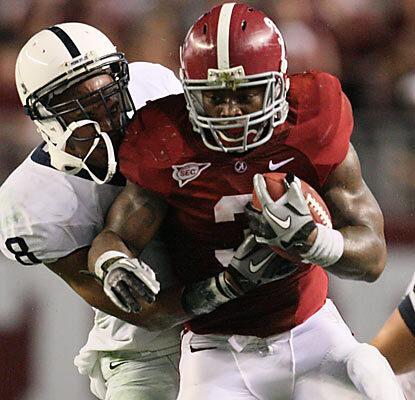 Edward Aschoff says Trent Richardson won’t work out at the combine, or Alabama’s pro-day. Instead, he’ll appear before scouts in a personal work-out at the end of March. It’s seen as a precautionary measure after minor knee surgery, but it’s somewhat of a blow with Richardson among the players expected to put on a big display this week in Indianapolis. He’s an elite player and shouldn’t see a big hit to his stock. Todd McShay ranks the defensive line prospects using different categories. McShay says Quinton Coples is the draft’s best pass rusher, with Jared Crick the best run-stopper. Coples and Michael Brockers are ranked as McShay’s top two defensive lineman. McShay also looks at outside linebackers and hybrid’s. He ranks Sean Spence (see below) as having the best overall instincts, just ahead of Courtney Upshaw. Zach Brown is credited with the best range versus the run, with Upshaw top for tackling, take-on-skills and third-down capabilities. The final one is crucial regarding the Seahawks – with the team looking to find a player that can offer a similar impact to Aldon Smith in San Francisco. 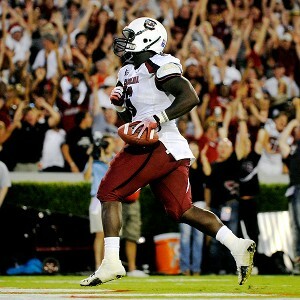 I’ve added game tape for Sean Spence below from the games against Kansas State and Florida State (thanks to JMPasq). 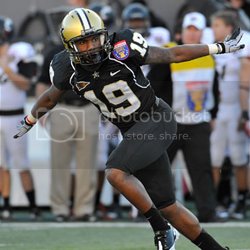 Although undersized, Spence is ideally suited to the WILL and will offer a quick impact in the NFL. He’ll always be somewhat of a liability shedding blocks and helping to set the edge, but if you can provide good run defense up front Spence will offer natural instinct, speed and leadership. He’s underrated because of his size and while he won’t suit every team, Seattle’s big front three and desire for speed at linebacker makes him a very real possibility in round two if he’s still on the board. In this week’s projection I wanted to contemplate the potential impact of the scouting combine, with work-outs beginning on Saturday. Who could rise? Who could fall? Will we see any significant changes when players have been tested and interviewed in Indianapolis? I’ve already discussed the possibility that Zach Brown could be set for a boost after he tests at the combine – Fletcher Cox (DT, Mississippi State) may also surge up boards after he works out on Monday. Cox plays like a runaway train – he can be off-balance, but he’s all power and speed and can play both off the edge and inside in 4-3 and 3-4 looks. He’ll be listed above 300lbs but could run a surprisingly fast forty-yard dash for his size, potentially pushing him to the front of the class for interior defensive lineman. Melvin Ingram, Quinton Coples and Courtney Upshaw are all jostling for position with all three likely to be drafted within the first sixteen picks. Ingram is expected to make the greatest impression as he’s clearly the most agile and will easily record the best forty-time. Coples and Upshaw can stay ahead of Ingram on a lot of draft boards by running respectable times and performing well in other drills. This is a big opportunity for Ingram, though. Other players will emerge that have so far not been considered likely first round options. 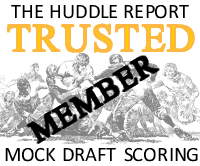 Rueben Randle (WR, LSU) was a victim of the Tigers’ offense and has a lot of pro-skills. He can jump ahead of several prospects with a good performance in Indianapolis and that element of unknown – and potential – could work in his favor. New England likes to draft defensive backs early and Casey Hayward (CB, Vanderbilt) could be a name to keep an eye on in the back end of round one. Dre Kirkpatrick and Devon Still could be set for a fall. Alabama’s Kirkpatrick isn’t a great cover corner and his reputation is largely based on size, run support and hard-hitting. He was exploited by Florida’s John Brantley (not exactly a prolific SEC quarterback) and may not show the kind of fluid hips and straight line speed to warrant some of the inflated reviews he’s received in the last few months. Still hasn’t got the same high ceiling as a Michael Brockers or Fletcher Cox and could fall victim to need. He’s already a fifth-year senior with some previous injury history and teams may feel he’s already peaked and doesn’t possess enough upside to warrant a high first round selection. I’ve maintained the trade touted in last week’s mock because I think it’s increasingly likely we’ll see a deal which will make Robert Griffin III the #2 pick. The most obvious trade partner is Cleveland, who would surrender their two first round choices to take the Baylor quarterback. Last week I looked at St. Louis going OT/WR with their new picks, this week it’s WR/OC. The center position is taking on an increasingly important role in the NFL and Peter Konz is an underrated prospect coming out of Wisconsin. Don’t be surprised if the Rams look to boost their interior with a pick like this. Will they take Blackmon at #4? It really depends on how they grade Riley Reiff, Mike Adams and Jonathan Martin. If they don’t see an offensive lineman worth the #4 pick, Blackmon has a shot. As for the Seahawks – nothing much has changed. They’re still out of range for the top two quarterbacks, still needing to focus on their second biggest need at defensive end and still relying on which players leave the board before their pick to dictate the selection. Upshaw is the least likely to impress at the combine, but I suspect he’ll maintain a high grade on many boards and could easily be a top-ten pick. The trio of Ingram, Upshaw and Coples really could go in any order – making Seattle’s choice at #11 or #12 a question mark right up until Buffalo’s pick is called. The Colts might as well call the pick in now. Indianapolis will draft Andrew Luck. No trade offer will change that. Cleveland would need to part with both first round picks to draft RGIII. It appears likely some form of deal will take place here. This would be a dream for the Vikings. They get a left tackle with elite potential. If Blackmon is going to go this early, he’ll need a good performance at the combine. This might be too high for the Rams. You have to believe Greg Schiano would love to draft Trent Richardson. Cornerback is also a need, so Claiborne is an alternative. This would be a foolish reach but Shanahan wants his guy. 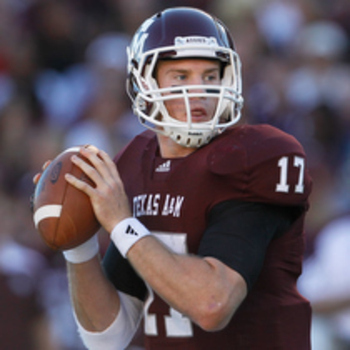 If Tannehill really is going to go in the top-15 as speculated, Washington is the obvious choice. Assuming the Jaguars attack the market for receivers in free agency, Gene Smith can concentrate on defense. Carolina wants to use a lot of different defensive looks and Cox is scheme versatile. He could light up the combine. A blistering forty yard dash could push Ingram up the boards. Right tackle is another likely target area. The Bills could switch to a 4-3 and that makes Coples rather than Upshaw or Ingram a more likely pick here. This could be Seattle’s ideal situation. Upshaw would have an instant impact, balancing out the pass rush with Chris Clemons. This is a little high for me, but Scott Pioli will almost certainly like DeCastro and he has a little Logan Mankins about him. Reiff is a solid, blue-collar lineman. But is he spectacular enough to go in the top 5-10? Jerry Jones wants to rebuild his secondary. Jenkins is the best corner available, but needs to prove off-field issues are in the past. Philly should do what it takes to keep DeSean Jackson grounded, then set out to draft the BPA. It could be Brockers. The Jets need pass rushers but will be hard pushed to pass on the electrifying Wright to boost that stagnant offense. Brown could be set for a big jump after the combine. Cincinnati could solidify their defense with two first round picks. Martin could suffer a fall if there isn’t an early run on offensive tackles. San Diego would get a bargain here. Randle struggled for an impact in LSU’s offense but he has a lot of tools to be a success at the next level. Safety is a need for Tennessee and Barron is clearly the best available in this draft class. I don’t expect a big performance at the combine, which will put Kirkpatrick’s inflated stock into perspective. A surprise choice, but the center position is growing in importance in the NFL. Konz has tons of potential and would be a fine pick. Glenn could play right tackle or move to guard. This would be a good fit for Detroit, even if they have greater needs. This is the domino effect on a quiet left tackle market early in the draft. Pittsburgh need to bolster their offensive line. He’s under sized but what a tackler – he’ll get close to 100 tackles in year one. Kuechly will also provide needed vocal leadership. The Texans saw life without Andre Johnson and might add another receiver as insurance. Hayward could move into this range if he performs well at the combine. New England loves to draft defensive backs. He has the production and enough power – he has a lot to gain at the combine by flashing mobility and speed. Sanu can line up anywhere and make plays. San Francisco use a lot of gimmicks and needs a sure-handed catcher. The type of player that just fits in with Baltimore’s defense. This would be a fantastic addition for the Ravens. It comes down to upside and teams early in round one may be put off by an average ceiling. Underrated linebacker who makes up for a lack of great size with speed, instinct, tackling and elite recognition skills. Over the next few days prospects will arrive in Indianapolis to begin preparations for the 2012 combine. The players are split into groups and use a staggered four-day schedule, with the event concluding a week today. Day one for each group includes registration, hospital examinations and x-rays, orientation and interviews. Day two consists of measurements, medicals, media meetings, psychological testing and further interviews. On day three there’s a NFLPA meeting, further testing and interviews. The final and most crucial day includes the work outs (timing, stations and skill drills) and then departure. Groups 1-3 will arrive in Indianapolis tomorrow, commence their schedule and begin work outs on Saturday. The quarterbacks, wide outs and running backs will arrive on Thursday and work out on Sunday. Defensive lineman and linebackers will go through drills on Monday and the defensive backs round things off on Tuesday. For a full list of the players invited, click here courtesy of Rob Rang at CBS Sportsline. For those who are interested in this kind of thing – groups 1-3 will wear black, groups 4-6 red, groups 7-9 green and groups 10-11 blue. One other interesting thing to remember during the combine – the coin toss to determine whether Kansas City or Seattle will pick 11th overall will take place on Friday. Monday should be an interesting day to see how the front seven players perform – a target area for the Seahawks in this draft. I’ll be paying particular attention to groups 7-9 next week, with several candidates for the #11 or #12 pick on show. One player in particular to keep an eye on is North Carolina’s Zach Brown. Some believe his stock is set for a boost when he works out, with a particularly fast forty-yard dash expected. He’s set records at UNC for sprinting and he flashed explosive speed and athleticism at the Senior Bowl. Any level of hype has been tempered slightly by his size limitations and the fact he’s almost exclusively restricted to the WILL position in the 4-3. However, his best football could be yet to come and don’t be surprised if he moves up the boards after the combine. I’ve added game-tape for Brown below vs Missouri and Louisville. My own impression of Brown is mixed. There’s undoubted potential there and his athleticism is sometimes understated. He moves fluidly from sideline-to-sideline, can read and react in coverage better than most linebackers I’ve scouted and I’m often surprised how quickly he moves to make the tackle even when he’s transferring from one target to another or stationed on the opposite side of the field. Unfortunately, that mobility and athleticism has never translated to pass-rushing production and part of me remains suspicious of linebackers who don’t bring consistent pressure. The NFL has proven that linebackers can be found later, perhaps more so than any other position in the league. Seattle needs a pass rush on defense more than it needs a great cover linebacker. Brown’s also not a big hitting force – as you’d expect given his size – and his tackling is occasionally a little sloppy. I found his 2011 tape to be a bit of a mixed bag (like so many UNC prospects) and often it was teammate Kevin Reddick making more plays and looking the better overall football player. Reddick doesn’t possess the same level of raw athleticism, but he may be a better overall player. Brown’s ceiling is undoubtedly higher, but will he realise that potential or prove to be another expensive bust at the position? Nevertheless, NFL teams love speed and athleticism and he will provide real benefits in coverage. If he can refine his pass rushing technique and provide another dimension there, you could be looking at a star. I think he’ll certainly become one of the big talking points at the combine. I also wanted to bring attention to Tony Pauline’s updated top-50 big board this week for SI.com. It’s worth noting he currently has Zach Brown at #18 with the following write-up: “Brown is a terrific athlete who’s been a consistent force for the Tar Heels. He’s a three-down linebacker who stuffs the run or easily defends running backs and tight ends in coverage.” He’s certainly a draftable option for the Seahawks if their top options leave the board within the first ten picks. “Based on the buzz around the league, the Seahawks could be the early frontrunner for Peyton Manning, assuming he is released. Pete Carroll needs a quarterback and is believed to have a strong interest in at least exploring Manning. The Seahawks could offer Manning an attractive scenario. They have a young team with some fine skill players to put around him. They play in one of the league’s loudest stadiums. Manning wouldn’t be subject to the same kind of scrutiny in Seattle that he would in a lot of other markets. “Seattle isn’t choosing high enough to get Robert Griffin III and they may be too high for Ryan Tannehill. The Seahawks have ties to Matt Flynn and the organizational flexibility to add Manning, even if Manning isn’t healthy enough to sign until later in the offseason. Manning to Seattle is not an illogical suggestion by any means. The Seahawks do need to upgrade at quarterback and are poorly positioned in the draft to solve this problem. Manning’s strong reputation remains intact despite what will be an acrimonious departure from the franchise he helped build over more than a decade. For years he dragged a mediocre Indianapolis roster into contention and when he finally succumbed to injury, the Colts quickly became the worst team in the NFL. Seattle has a solid young core and having an experienced, proven quarterback would surely help the team improve upon back-to-back 7-9 seasons. Despite all of that, I’m almost certain Manning won’t be moving to the PNW. The Seahawks will add a quarterback at some stage during this off season. Charlie Whitehurst is unlikely to be re-signed, leaving Tarvaris Jackson and Josh Portis as the only two recognised quarterbacks on the roster. Although Pete Carroll has spoken warmly of Portis, it still seems a stretch to expect he’s ready to take on full-time back-up duties. Jackson has missed games through injury in the past and it seems unlikely the Seahawks will roll the dice on Portis taking over mid-way through a season if needs must. Adding a veteran will be a priority, if for no other reason than to increase competition. Even if Jackson is the starter again in 2012, the job won’t be handed to him. I understand there’s a possibility Seattle will be active in the trade market, potentially acquiring a veteran quarterback. Both myself and Kip have touched on this recently and while we cannot offer you any names, it might be worth considering who could be available come March. There are a handful of viable options right now and this front office has been quite cunning to capitalise on cost-effective veteran trades (Marshawn Lynch, Chris Clemons, Leon Washington etc). They could work the magic again to upgrade the quarterback position and build a bridge towards attacking the 2013 draft for a long term successor. The injury situation cannot be ignored and while bringing in Manning isn’t considered by many to be a ‘risk’ – it absolutely will be. Signing Peyton means committing to him as the starter. It may be that come the start of free agency, he can’t even be medically cleared to warrant such a commitment. So what do you do? Wait for the guy to recover and potentially miss out on other targets, or take a wild stab in the dark that he’ll ever be able to make a comeback? Carroll and John Schneider have been nothing but decisive so far and it seems unlikely they’d rely on a recovering Manning or take a punt on his health. If the Seahawks are going to add to the position, they’ll make a move that at least comes with a degree of security that provides instant competition. Secondly – Enyeart is correct when he says Manning has diva qualities. He’s not a locker room cancer or anything – far from it. But Peyton is only used to getting his own way, and dealing with coaches that allow him to have a lot of control. He won’t get that in Seattle. We’ve seen how Indianapolis collapsed without their quarterback and the Seahawks are not looking to rely on any one individual – not now, not in the future. Of course the situation will be slightly different wherever Manning ends up, but he’s still going to want the offense designed to his strengths and limitations. Given Manning’s stature, he’s well within his rights to expect that. Straight off the bat Seattle’s offense will make a seismic shift – the blocking schemes will have to switch, they may have to investigate bringing in some of Peyton’s receivers (eg, free agents Reggie Wayne or Pierre Garcon) and they’ll have to adjust the playbook. The Seahawks have been building their offense to suit a certain type of quarterback (mobility, downfield passing, point guard) with a certain type of blocking (zone). Everything is designed to work alongside and enhance the running game in several different ways. That plan would have to be adapted significantly to accomodate Manning on a short term basis. Some fans will, not unfairly, exclaim, “But this is PEYTON MANNING, why wouldn’t you change or adapt?” Changing plans for a highly rated rookie or younger, healthier quarterback is one thing. Changing long term plans for an ageing, injured future Hall-of-famer is quite different. Let’s not forget that this team is being built around youth with a longer term vision in place. They aren’t out to find a quick fix and even if fans are unsatisfied with their work to address the quarterback position so far – let’s not forget the inherited situation was far from ideal. A plan is in place to eventually make Seattle great at quarterback for many years to come, not just for however long Peyton Manning can hold up (if at all). Pete Carroll has built around slogans such as ‘all-in’ and ‘always compete’ – shunning veterans who haven’t bought in and giving playing time to those who are willing to. It’s created a spark, especially on defense. I cannot imagine Manning or Seattle seeing this as an ideal fit. He won’t want to compete, he won’t want to be a cog in the wheel. In Arizona, Manning would have a coach he knows he can work with, the freedom to shape the offense in his image, an elite receiver target and an offensive line which appears primed to be rebuilt and is more open to design. The Cardinals have some history of installing a veteran in the twighlight of his career and getting results. It’s difficult to look beyond the Cardinals for Peyton, even if Miami and Washington also have legitimate interest. The Seahawks will look at alternatives and like I mentioned – keep an eye on the trade market. This is where Seahawks fans must focus their attention. I expect the front office to address the position, just not in the way people are talking about right now.